The transition from regional geography to a technical discipline with an emphasis on digitalisation: researchers at Friedrich-Alexander-Universität Erlangen-Nürnberg (FAU) are currently studying the history of geography in the 1960s and 1970s in a new research project. The title of the project can be translated as ‘After Kiel. The history of the quantitative-theoretical transition in the science of geography in German-speaking countries – historical network analysis and disparate geographies’. ‘While the Cold War phase has become the focal point of the history of science in recent years, geography itself has done little in the way of looking at its own history during the second half of the 20th century,’ says Dr. Boris Michel from the Institute of Geography at FAU. The systematic analysis of this past development is a ‘matter of urgency’ in the view of Dr. Michel in order to establish the perceptions behind the methodologies and theories employed by geographers and against the background of the current major quantitative transition and digitalisation (the introduction of big data) in the discipline. ‘Current problems in geography arising in connection with this quantitative transition are largely discussed with no reference to the historical aspects,’ criticises the researcher. It is this lacuna that the geographers from Erlangen hope to fill with the help of their research project. Dr. Michel and his team are investigating the corresponding developments using historical network analysis. This method makes it possible to evaluate links, connections and interactions between researchers in texts and other sources. Katharina Paulus, who is working on her doctoral degree as part of the project, is one of the researchers reviewing articles in the field of geography published in the period from the 1950s to the 1970s. This particular time span was selected on account of the highly influential Kiel Geographic Symposium of 1969 that resulted in a radical change in the fundamental approach to geography in German-speaking countries. Students there demanded that geography should become a discipline based on theory, that employed suitable methodologies and that could be analysed from a critical academic perspective. In addition, it was also proposed that geography should have greater societal relevance. The database currently contains around 10,000 texts earmarked for evaluation by means of historical network analysis. With the software it is possible, for example, to systematically examine the links and interactions between researchers and their networks. Taking this as a starting point, it is the aim of the Erlangen team to demonstrate that there was no single uniform, predominant paradigm shift in the discipline during the second half of the 20th century. Instead, as Dr. Michel points out, what happened were a number of ‘local revolutions’. ‘What actually took place in the case of geography was extremely divergent and multifaceted. The approaches at a local level were very different,’ says Dr. Michel. It is therefore not possible to speak of researchers making a ‘clean-cut break with the past’ in Germany after 1969. It was often the case that the contradictions arose because of the conflict between the grand ideas on the one hand and the strictures of local everyday university life on the other. Some universities suddenly experienced ‘quantitative revolutions’; others held on to the concept of regional geography, while others still focused more on qualitative methods. 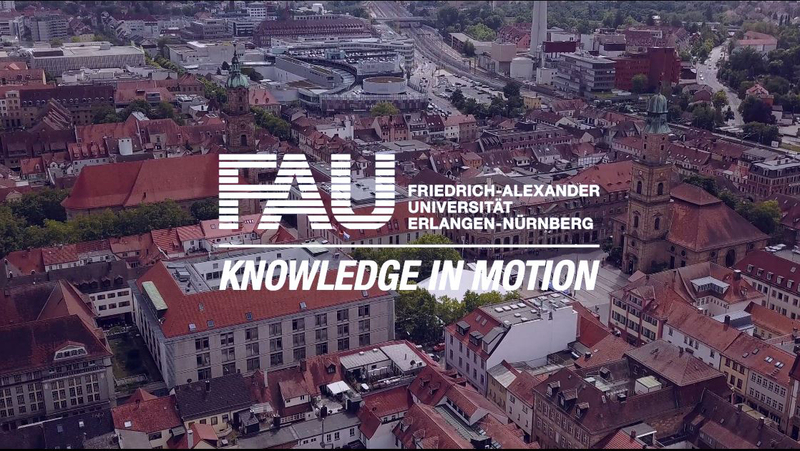 The researchers are conducting their work within the scope of the project funded by the German Research Foundation (DFG) in close co-operation with the Interdisciplinary Centre for Digital Humanities and Social Sciences (IZdigital) at FAU. In view of the current challenges surrounding the introduction of big data and the debate on the use of geodata, there can be no turning back. ‘This is currently a hot topic for geographers,’ emphasises Dr. Michel. The researcher says it is for this reason that a systematic reappraisal of the scientific history of geography is of such decisive importance.